You can boil vegetables without losing all the fiber content. 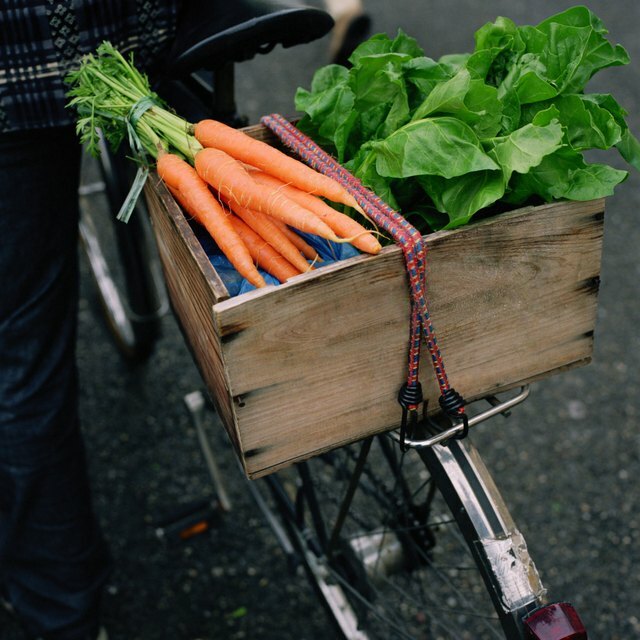 1 Do Carrots and Lettuce Have Carbohydrates? Boiling vegetables changes the flavor profile and texture of the vegetables, making them easier to chew. Unlike other cooking methods for vegetables such as breading and frying, boiling vegetables adds no calories and fats to the vegetables. While some vegetables do lose some vitamins during the boiling process when compared to raw vegetables, the fiber content varies only slightly. Root vegetables such as carrots, potatoes, turnips and beets have a generous amount of the 25 grams of fiber a female needs each day and the 31 grams of fiber a male requires. Boiled carrots have 4.7 grams of fiber in 1 cup, as compared to the 3.6 grams of fiber in 1 cup of raw, chopped carrots. Boiled white potatoes have 2.8 grams of fiber per cup, and 1 cup of potatoes baked in the oven has 2.7 grams, according to the USDA Nutrient Data Laboratory. A cup of cubed, boiled turnips gives you 4.6 grams of dietary fiber, and 1 cup of boiled beets has 3.4 grams. Broccoli, which contains an abundance of minerals, has 2.4 grams of fiber per raw cup, and 5.1 grams of fiber per boiled cup. The difference in fiber between many boiled and raw vegetables comes from the fact that vegetables shrink in size when boiled, so more of the vegetable can fit in a measuring cup. Green beans and asparagus, which are normally boiled or steamed before eating, provide you with 4 grams and 3.6 grams of fiber per cup, respectively. Boiled spinach has 4.3 grams of fiber per cup, while raw spinach has just .7 grams of dietary fiber. Other vegetables commonly boiled include tomatoes, pumpkin and yellow squash. While popcorn contains 2.8 grams of fiber per 1 ounce of popped corn, a 1 cup serving of boiled sweet yellow corn has 3.6 grams. You can use boiled tomatoes in soups or casseroles, and a cup of boiled red tomatoes gives you 1.7 grams of fiber. In contrast, a cup of raw, red tomatoes has 2.2 grams. Boiled pumpkin, often used in pies and pumpkin soup, has 2.7 grams of fiber, and a cup of boiled yellow squash that you might use in a squash casserole contains 2.5 grams of dietary fiber. 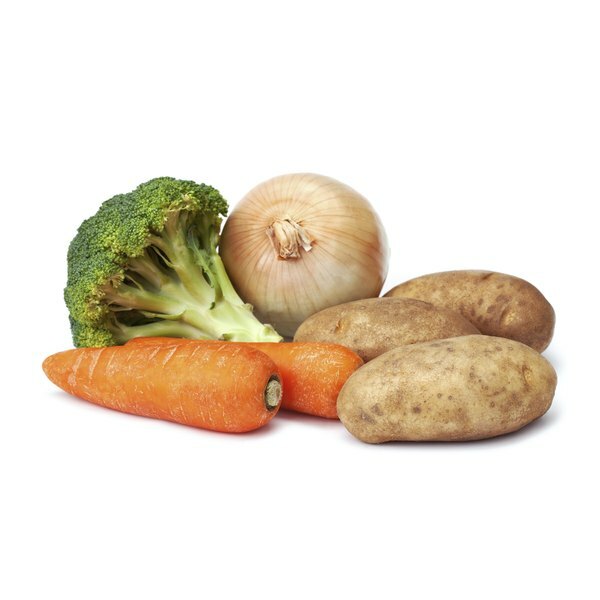 While boiling vegetables does not destroy their fiber, eating your vegetables raw seems to show a stronger decrease in the incidences of some cancers than cooked vegetables, according to a study published in the September 2004 issue of the journal "Cancer Epidemiology, Biomarkers and Prevention." The researchers concluded that both methods of consumption benefited overall health and cancer rates, but cooked vegetables did lose some of their nutrients and important enzymes. After you boil your vegetables, season them with no-salt seasoning instead of salt and do not add butter to the vegetables to keep your dish low in sodium and fat.